This lovely evening was all about Ryan and Cheryl! 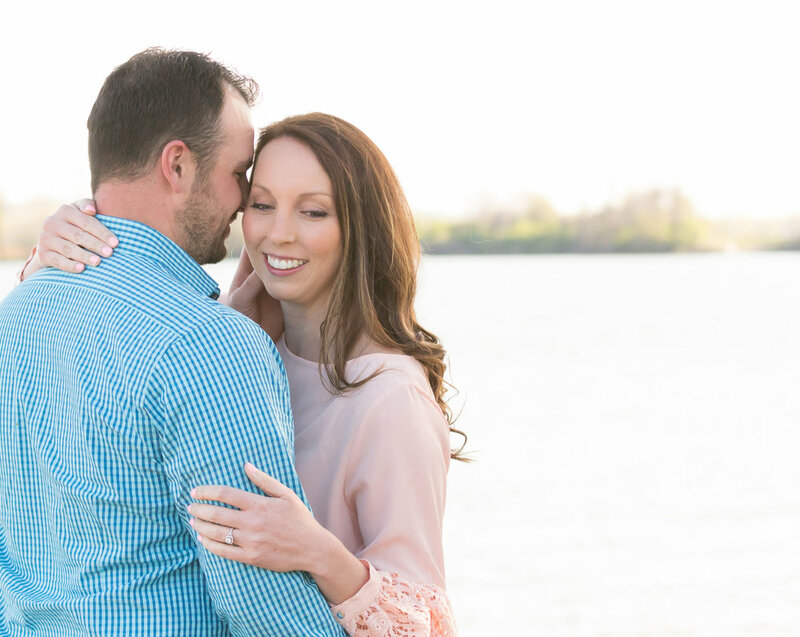 We were blessed with phenomenal weather for their engagement session at Creve Coeur Lake in Maryland Heights, St. Louis, Missouri. 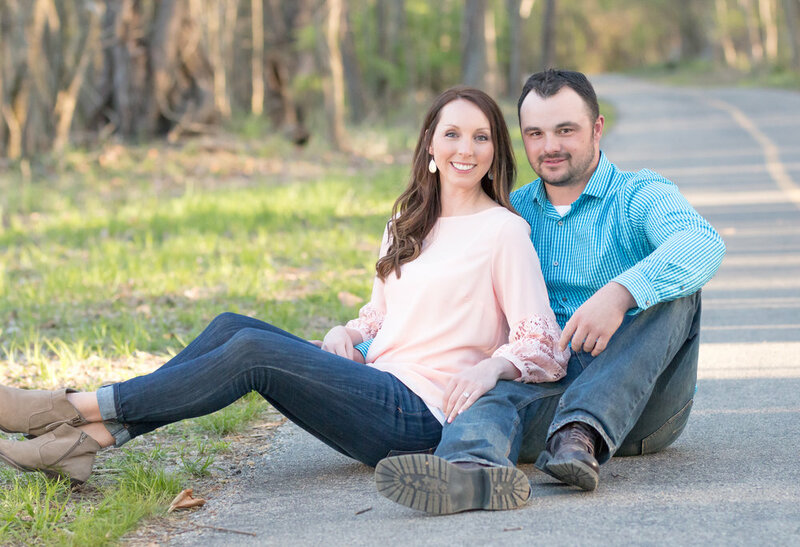 They have been dating since high school and their wedding is set for October 19, 2018 at Defiance Ridge Vineyard!! 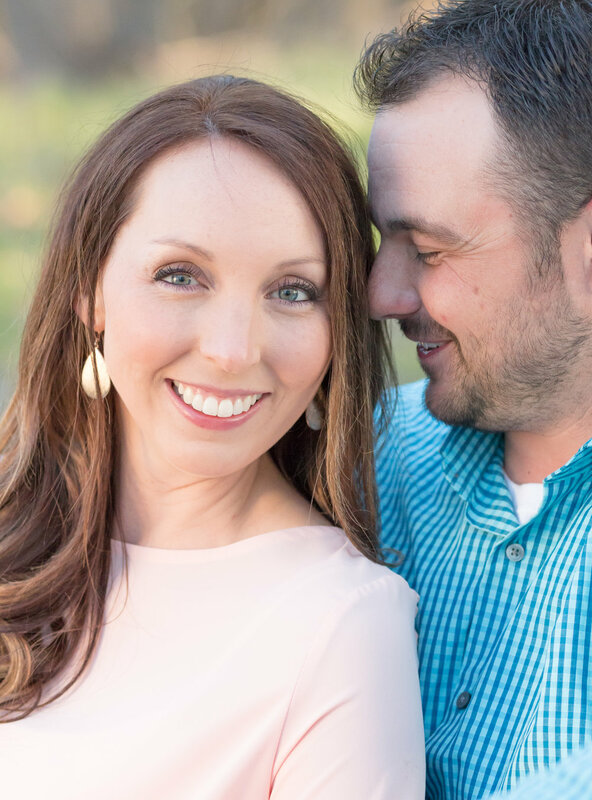 We just love October weddings and can't wait for their big day! Ryan's Dad and Grandpa swung by during the photoshoot with Grandpa's Classic '57 Chevy! The car was absolutely beautiful and picked up so many different lights and colors during sunset! Super fun--And we think that Ryan's Grandpa really enjoyed watching his car take part in something important too! First of all, we can't forget to introduce the charismatic Louie! 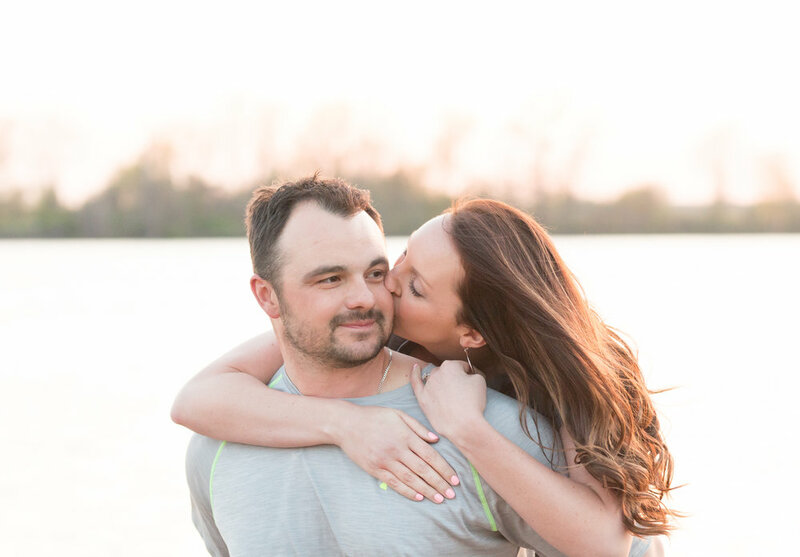 Ryan and Cheryl are almost done building a house and he can hardly wait to have a new backyard! He loves his momma, but this lil guy is definitely a "daddy's boy" and had plenty of energy to go around for all of us! He also specializes in giving lots of kisses and loves being cuddled like a baby! 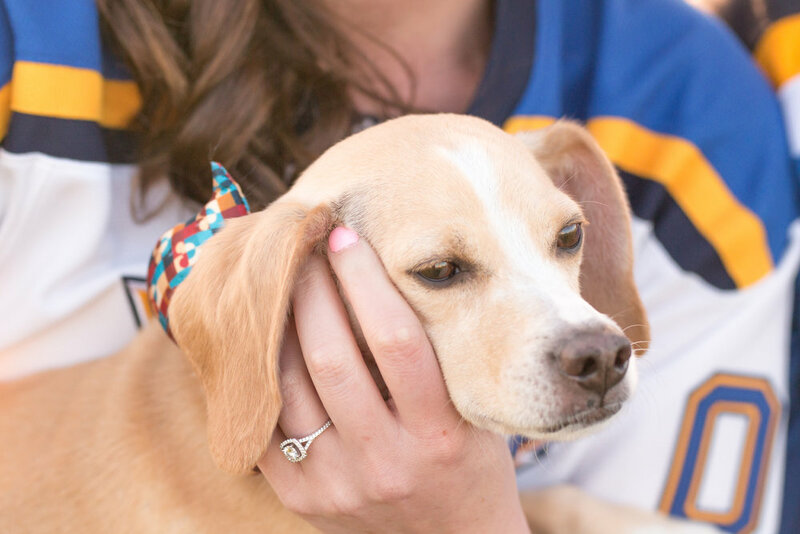 Check out his cute little bow tie that he wore during our photoshoot! 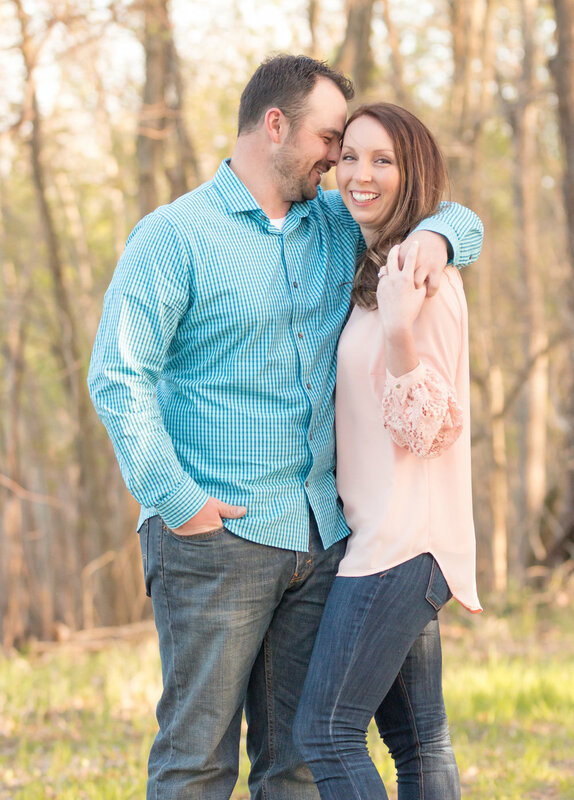 Ryan and Cheryl, thank you for choosing us as your photographers! We're grateful for the opportunity to meet you, and we're excited for October!